It is not a secret, even with The Secret selling millions of copies (excellent marketing with that title, btw). Any good reading going back centuries will pull up the same information. Try Rig Veda or Tibetan or Zen philosophies in translation…but that is beside the point. The point is that knowledge and information are all around you all the time. The “Secret” is in plain sight…or in this case, sound. These fellas started out in the ’60’s jamming tunes for appreciative audiences and evolved into musical philosophers of the highest caliber. “Thinking is the Best Way to Travel” and “Timothy Leary” come to mind. 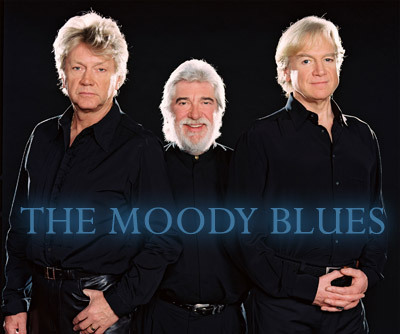 Back before the Internet linked millions of diverse people and flooded the ether with bits and bytes, The Moody Blues were flooding the airwaves with a message of peace and hope and love tinged with a decidedly metaphysical flavor. If you want to enjoy some deliciously moving music and hear a message of possibilities that will send you “Higher and Higher”, download some Moody-Tunes. Others HAVE been there before you and they have “charted” the way years ago. Particularly excellent: Albums “To Our Children’s Children’s Children”, “Days of Future Passed”, and “In Search of the Lost Chord”.